You're lovely and you need to keep warm. 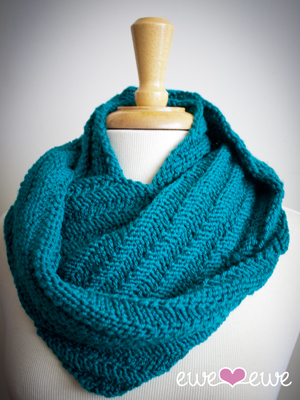 Here's the Happy Cowl knitting pattern in Ewe Ewe Yarns Wooly Worsted Washable and it will be comfy and cozy. Wrap it once for an elegant drape or twice to keep you toasty on the coldest winter days. Gauge: 16 sts to 4" in diagonal rib stitch.